Welcome to Country Star Photos. ​We are aiming to be your one stop shop for everything Country Music. From the annual CMA Country Music Festival to staying connected with your Favorite Artist on Social Media and everything in between. ​If there is something else you would like to see, be sure and contact us at Countrystarphotos@gmail.com Your feedback will help to make this the definitive spot for country music on the web. 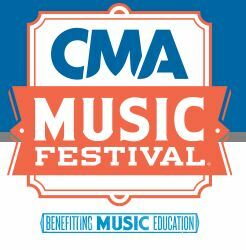 The CMA Country Music Festival in Nashville, TN every June is a Country Music lovers dream. Meet and mingle with your favorite stars. Hear music from every corner of downtown Nashville. Meet and Mingle with your favorite artists. There's something for everybody. Note: This site is in no way affiliated with nor endorsed by the Country Music Association(CMA), or any of subsidiaries or sponsors. In addition to the CMA Music Festival in Nashville, TN, there are numerous other fairs and festivals all across the country (and around the world) that include country music as part of their entertainment package. We have tried to list as many as we could find on our Festivals page (nearly 90 and counting). Maybe you can find one in your area to attend. If you know of some we may have missed, please let us know via email (or tweet using button below) and we will get them added as soon as possible. Country Artists love to connect with their fans. This is what makes them so special. In addition, to their standard Official Web-site, many of them can be found on Facebook, Twitter, Instagram and YouTube. The list of artists included has reached 500.